Are you looking for that Florida feel over the winter without the expense and trouble of booking flights and transfers? Want to test your golf to the highest level over a local championship golf course? Look no further than the Bransford Bank House Hotel and our 18-hole Florida style Championship course. 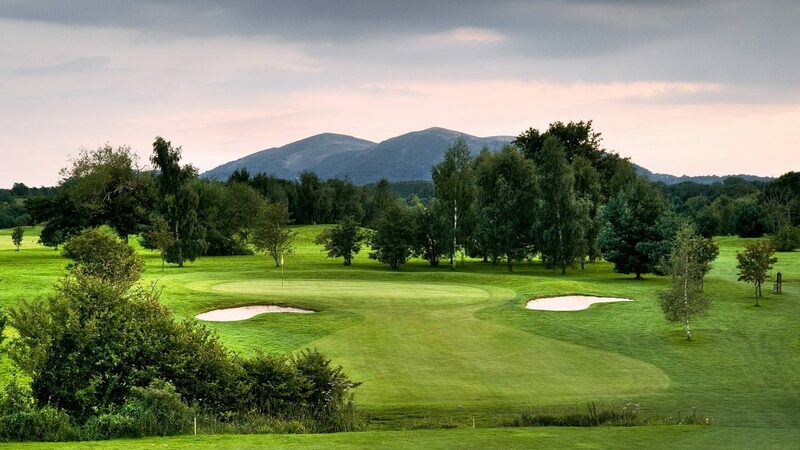 Set at the foot of the Malvern Hills in the finest rolling Worcestershire countryside, our stunning course offers a challenge to all levels of golfer, featuring 6 par 3’s, 6 par 4’s and 6 par 5’s, 14 lakes and two island greens. Following extensive maintenance to the greens over the past few years we pride ourselves in the fact that we never use winter greens. We have a fully stocked professional shop to cater for all of your golfing needs, a 15 bay practice range where you are able to warm up prior to you round, and a friendly clubhouse with stunning views of the course serving a varied range of food and drink. Should you wish to extend your visit you can stay over in our recently refurbished hotel, relax in one of our bars or restaurants or, if you want to take your relaxation to the next level, you can make use of the facilities in our luxury Malvern View Spa. We welcome bookings for corporate away days, golfing weekends and society days. Just call our team for more information and to book your perfect golf experience. of golf from £89.50 per person. 2017 - 28th February 2018, for more information visit bankhouseworcester.com/golf/winter-golf-offers). and have ample free parking on site. Worcester Foregate Street and Malvern Station are both 5 miles away. The Bank House Hotel offers 65 bedrooms, a bar and restaurant, flexible function rooms, and a luxury spa with indoor swimming pool, thermal suite and gym. free WIFI, changing rooms and lockers, large car park, putting green and practice nets.